Tickets can be purchased at the door or online at www.whitworth.edu/theatretickets. For more information, please call 509.777-4374. The “Radium Girls” were a group of women employed by a local factory to hand-paint watch faces and were exposed to radium poisoning as a result. 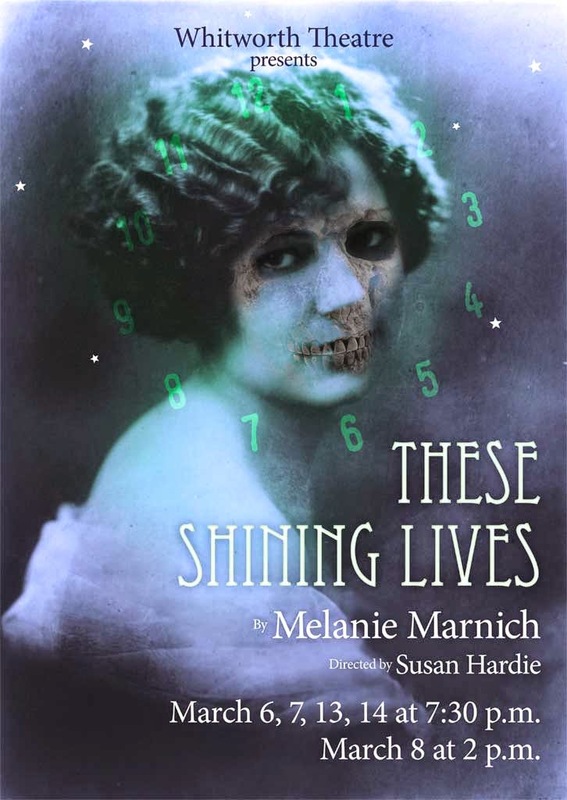 The play follows the events of four of the women who face public discrimination, the consequences of corporate greed, and the unknown dangers of the “wonder chemical” radium. The story explores one of the earliest struggles for worker rights in the U.S.
Kim Dawson, Whitworth Theatre program assistant, Whitworth University, (509) 777-3707 or kdawson@whitworth.edu.